We loved every moment of our stay here! The location was perfect! The villa was beautiful, clean and spacious. Everyone from the staff was very helpful and kind to us and our kids. This place made our stay in Candidasa unforgettable! Lovely private villa in great location. It is definitely worth taking a boat trip out to the little islands for snorkeling. Private, quiet area. Beautiful pool, close to everything. Lovely breakfast prepared in villa each morning. Amazing villa - the photos don’t really show how beautiful it is in real life. The staff were helpful and friendly. The lounge area was very comfortable. The bathroom was interesting with the outdoor shower. Breakfast was delicious. The property was located near shops and restaurants. Thoroughly enjoyed my stay. Lovely private compound with pool, refreshing sea breeze, friendly and attentive staff, village location close to lily-covered lagoon, shops and restaurants. 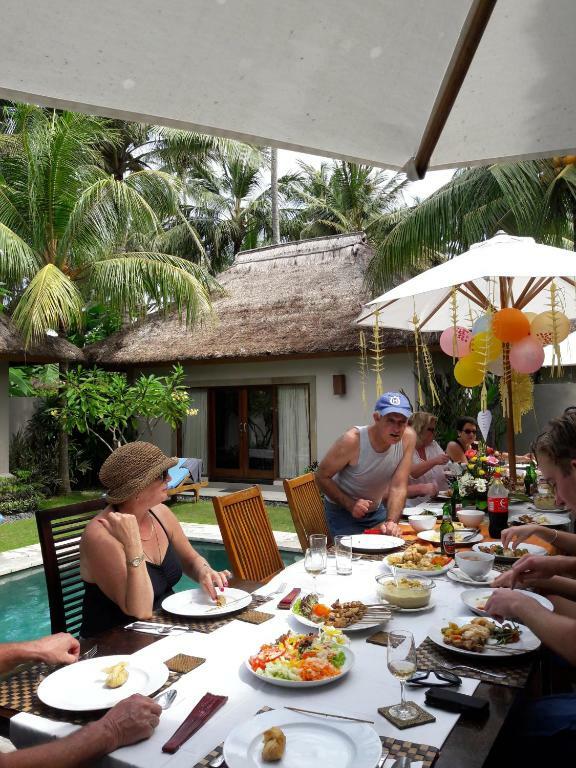 Generous breakfast prepared in the villa, helpful reception, clean comfortable taxis for day trips around beautiful East Bali. So quiet, other than birdsong! Loved everything about this villa. The staff are wonderful, the villa is beautiful and just what we needed for a family of 4 adults and two toddlers. Plenty of room and great amenities. A great place for a quiet holiday. Plenty of restaurants within walking distance . We especially like the service. Everything we wanted, they arranged for us. The villa was spacious with a small but big enough pool. The kitchen facilities - my partner likes to cook - were very good. Wish we could have stayed longer. Beautiful clean and spacious Villa. The staff are absolutely wonderful. I highly recommend Villa Sassoon. 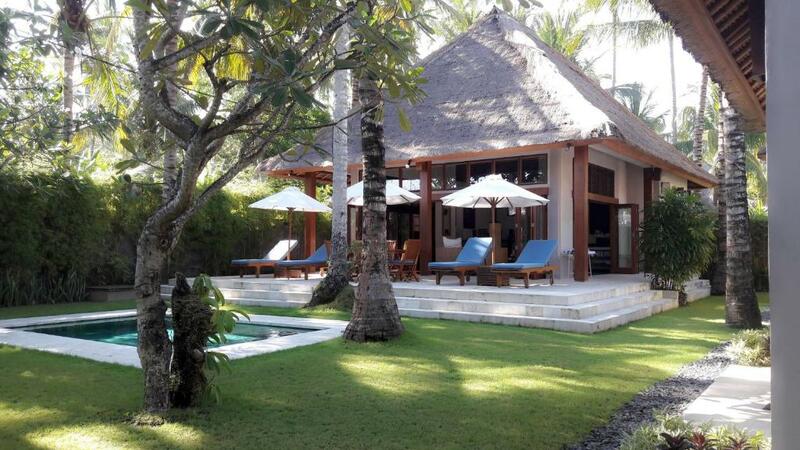 Beautiful villa, just like in the photo's, the staff were very friendly and made us feel very welcome. They organised a lovely meal for us at the villa for our wedding anniversary and left us beauiful flowers on the table by the pool on the morning of the anniversary to wish us a happy day. All in all a great place to stay. Response is quick and positive. Service is good and staff is helpful. The breakfast is delicious. The 2 bedroom villa is spacious and well decorated which is the perfect place to escape from noisy and the crowds. And just few steps from the shops and restaurants. We enjoy everything. The experience is impressive and you should try. Lock in a great price for Villa Sasoon – rated 9.4 by recent guests! 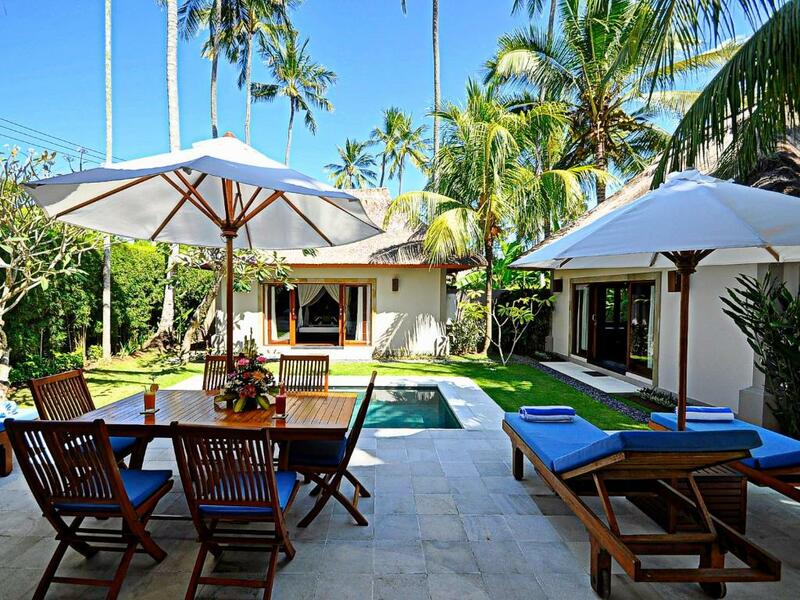 Villa Sasoon This rating is a reflection of how the property compares to the industry standard when it comes to price, facilities and services available. It's based on a self-evaluation by the property. Use this rating to help choose your stay! One of our top picks in Candidasa – and a guest favorite. Villa Sasoon is located just 500 feet from Candidasa Beach and a wide variety of beachfront restaurants and shopping. 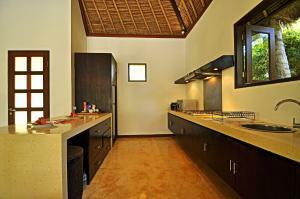 It features 4 luxurious villas with a private pool and full kitchen facilities. The villa is a 15-minute drive from a traditional village called Tenganan. Villa Sasoon is located along Bali’s northeast coast, a 1-hour 30-minute drive from Ngurah Rai International Airport. Spacious villas feature thatched roofs and classic, dark wood flooring and furniture. An iPod dock, DVD player and free Wi-Fi are provided. The kitchen is equipped with European kitchenware. Massage services are available at guests’ convenience. The resort’s tour desk assists in arranging surfing, rafting and trekking trips. Snorkeling and diving can be done by the beach. 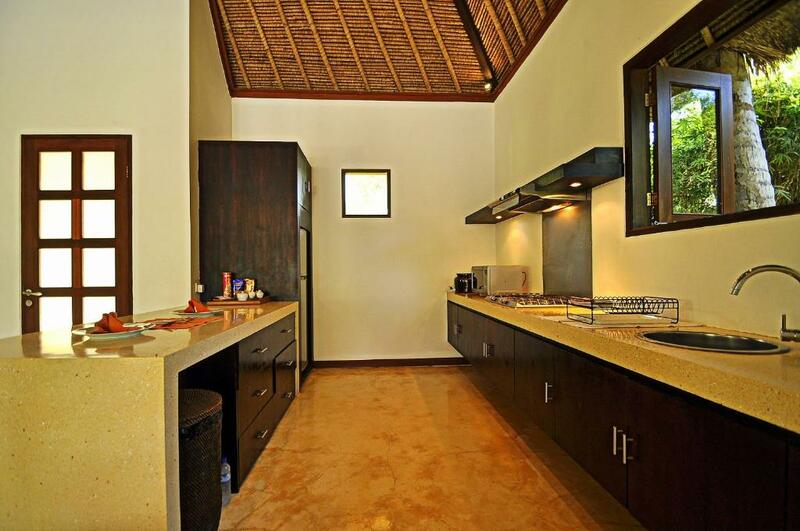 Meals can be prepared by a personal chef and enjoyed in the privacy of one’s own villa. Intimate dining settings by the pool can also be arranged. Villa Sasoon is a 30-minute drive from Ujung Water Palace, a 45-minute drive from Tirta Gangga and 105-minute drive from Mother Temple of Besakih. This property also has one of the top-rated locations in Candidasa! Guests are happier about it compared to other properties in the area. This property is also rated for the best value in Candidasa! Guests are getting more for their money when compared to other properties in this city. When would you like to stay at Villa Sasoon? 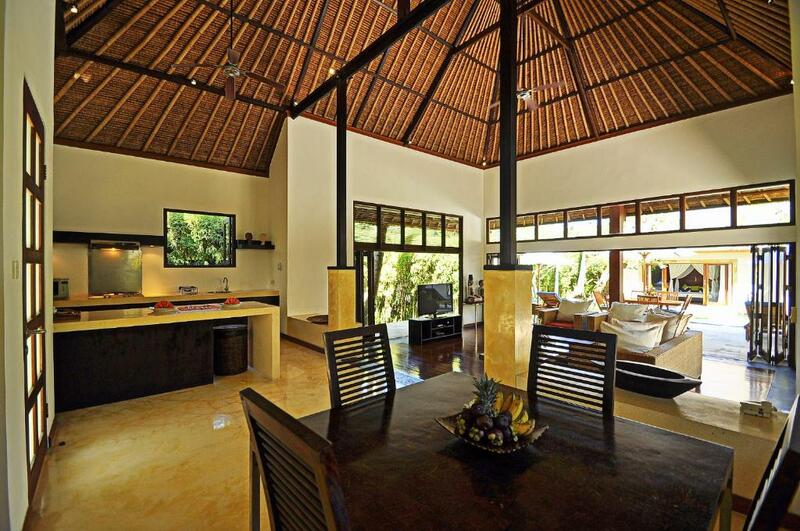 A spacious villa for up to 4 people offering a private pool, an outdoor patio and a fully-equipped kitchen. It features a flat-screen TV, DVD player and free WiFi. 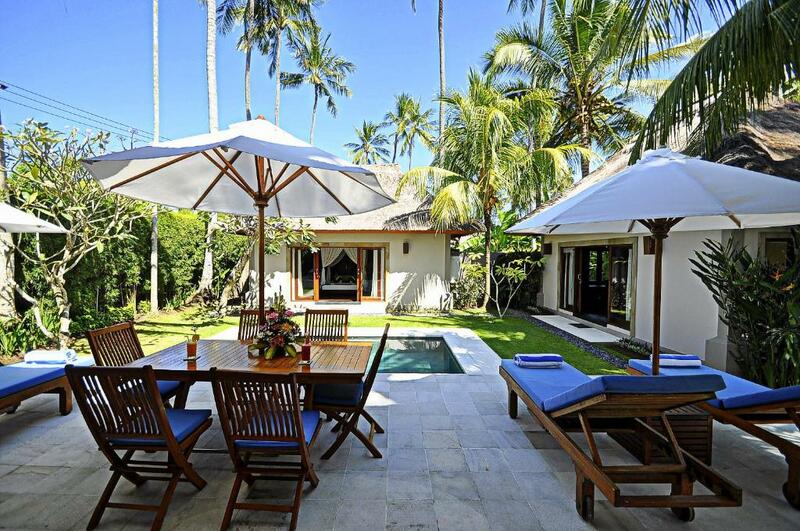 The villa is for up to 2 guests and comes with a private pool and a fully-equipped kitchen. It has a flat-screen TV, DVD player and free WiFi. 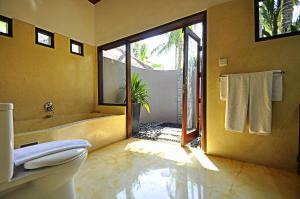 Villa Sasoon is Located 500 meter from the beach and very close to Candidasa town, shops and Restaurants. 2 hours drive from Ngurah Rai Airport. close into it's surrounding Tenganan Village and White Sand Beach. Villa Sasoon is a special place for me. I have been work since it's open in 2003 until now. Nice place to work and I am very proud of it. Tenganan Village is about 15 minutes drive from Villa Sasoon, a traditional village with their own unique artitectures and life tradition, Trekking activities start from Kastala village on a car drop of and trek to the rice fields until the Tenganan Village and drive back to Villa Sasoon. White sandy beach is about 20 minutes drive, a white sandy beach, clear water for snorkeling is a perfect place for a sun day, experience with a local boat is another option to go there too. Many local warung will offer your light lunch. Blue Lagoon in Padang bai is about 20 minutes drive to go there also about 40 minutes one way with a local boat. Beautiful fish and clear water for snorkeling. House Rules Villa Sasoon takes special requests – add in the next step! All children under 6 years are charged IDR 350000 per night for extra beds. Villa Sasoon accepts these cards and reserves the right to temporarily hold an amount prior to arrival. Please note that the property offers free airport pick-up for guests who stay a minimum of 7 nights. Please inform Villa Sasoon of your expected arrival time in advance. You can use the Special Requests box when booking, or contact the property directly using the contact details in your confirmation. On arrival the pillows, sheets, mattress protectors had not been changed and were very soiled. Staff were notified and happy to provide clean linen. This is something that all travellers should check, look under the sheets and pillow cases to make sure they are clean. Everything else was perfect. The bedroom air conditioner worked so well it was a little cold. Great hosts, excellent service and facilities! A pity that you could hear and smell but not actually see the sea from the property. Go to restaurant next door for good ocean views and boat hire. Everything about this villa was perfect. Nothing to dislike. We were initially concerned when we were given the front villa (i.e. The one beside reception) as we were concerned about possible noise based on some other reviews, however we did not find it a problem in the end. Everything. It far exceeded our expectations, which were already high. We had a one bedroom villa for 4 days and I can only say that it was outstanding. Had we known just how nice it was going to be, we would have replanned our trip to stay here even longer. 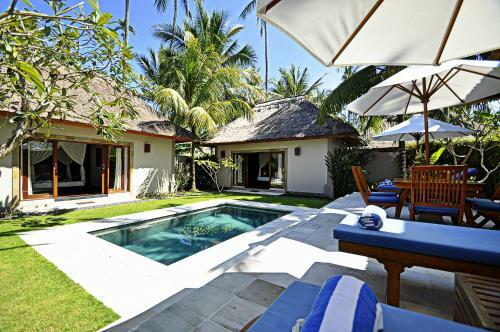 The villa is a private enclosure, with three buildings surrounding a private pool. Two buildings are standalone bedrooms, and the other building is a large living room/kitchen. Once inside the villa area, you have complete and total privacy. It was exceptional. The staff are really helpful, immediately helping with any question or request. They strike a nice balance between checking in on you and leaving you to relax. No privacy. Stuffs came into villa when they need do some work without checking with us.